Welcome to Austin Children's Garden! Our mission is to inspire a lifelong love of learning and nurture the magical wonder of childhood in a creative and natural learning environment. We are located in the heart of Austin, TX 78704. See us in action at our blog! Our programs are guided by passionate lifelong educators who take time and pride in a thoughtful, experiential curriculum of integrated academics, inquiry-based learning, social-emotional wisdom, and meaningful activities that support the growth of the whole child. We utilize hands-on projects, nature study, healthy cooking classes, organic gardening, creative arts, science investigations, kids yoga, music and song, expressive movement, and imaginative free play to nurture the spiritual, physical, emotional, intellectual, and social development of each child. We are fascinated with observing and participating in the learning process of a young child. 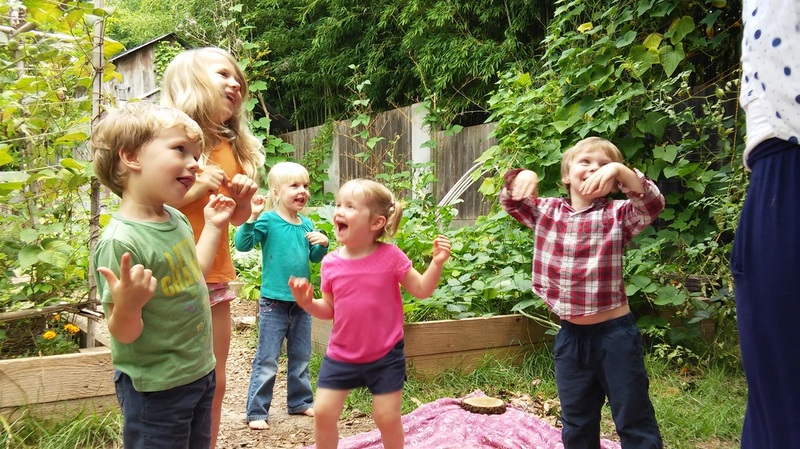 Our years of working in different educational environments with children show us that an artful balance of the best in current educational research, holistic models of child development, and elements from the Reggio Emilia approach, Waldorf Education and the Montessori Method cultivates an integrated and meaningful learning experience. We offer a variety of Preschool Programs for children 1.5 - 6 years and Homeschool Programs for children 4 - 10 years. ​Sign up here to receive our monthly newsletter for details on upcoming events!